I wonder if either Marmel or MJ realize that these numbers don’t prove a thing about racism. They don’t even hint at racism. Not by themselves. Without knowing the racial makeup of Ferguson, we can’t tell if police stops, searches, and arrests of black people are disproportionately high or disproportionately low. 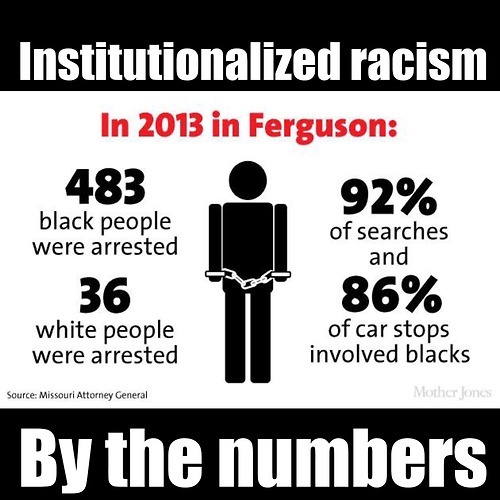 If Ferguson is 93% black, then police are arresting white and black people equally as a proportion of the population. 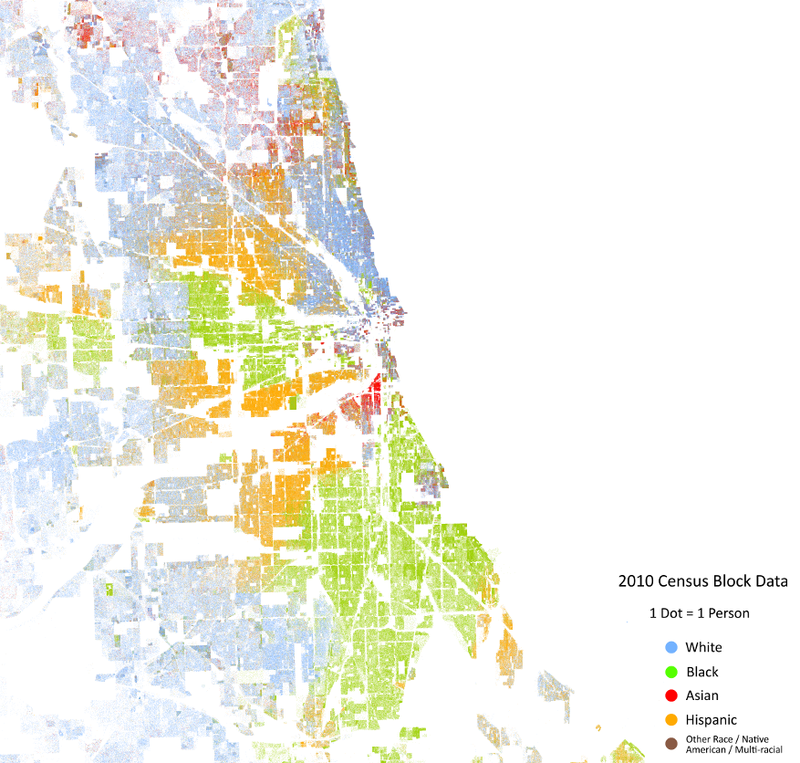 Now as it turns out, according to 2010 census data, Ferguson is about 70% black and 30% white. (I’m leaving out the 3.3% of the population that identify as some other race, including mixed races.) This means that in 2013 Ferguson police arrested 0.6% of white residents and 3.4% of black residents, which means the relative risk of arrest for black people was about 5.8 times that for white people. The relative risk was about 5 times higher for being searched and about 2.6 times higher for having their car stopped. Now that doesn’t prove that Ferguson police are racists — you’d have to rule out confounding factors such as age, you’d have to find out what fraction of the arrested are from out-of-town, and you’d have to figure out whether the arrests were justified by differential crime rates — but it does strongly suggest that something is going on that merits further investigation. And it really wouldn’t have been hard to add that information to the infographic. More to the point was the dog hits simply aren’t anywhere nearly as worthy of credit as courts have held. Consider whether it would be equally acceptable for a cop to flip a coin in order to establish probable cause to search. For a dog whose established ability to sniff out drugs runs in the typical 50% range, it’s no more likely to be accurate than a flip of a coin. That 44% figure for success means that the false-positive ratio is a whopping 56%. Scott was being generous when he rounded down to 50%. However, in comparing dogs to flipping a coin, Scott makes a very common math mistake by confusing the dog’s false alert ratio with the dog’s total alert ratio. To keep the situation simple, let’s assume the dog never misses any drugs, so the 88 drug carriers are all there were in the sample population of 1000. In other words, 8.8% of the people are carrying drugs. 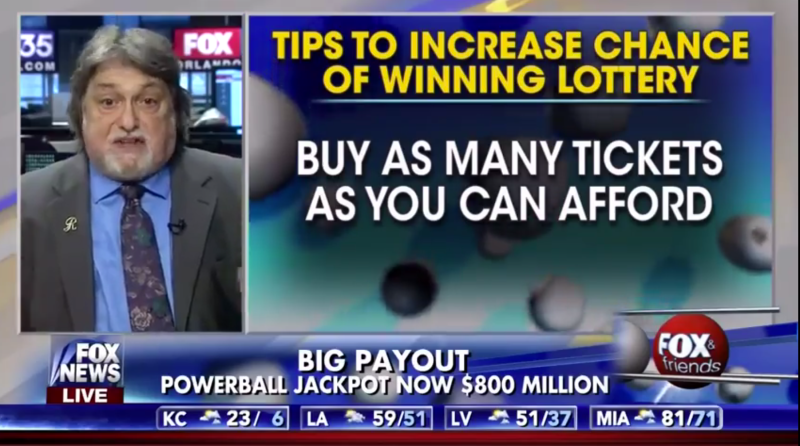 As long as less than 44% of the population is carrying drugs, a dog with a known 56% false positive ratio is performing quite a bit better than a random coin flip. Not that that’s saying much. And it doesn’t really hurt Scott’s point, either, because the dog is still wrong more than half the time, and each time it’s wrong, some innocent person has to endure the humiliation of a police search. Dog-handling officers and trainers argue the canine teams’ accuracy shouldn’t be measured in the number of alerts that turn up drugs. They said the scent of drugs or paraphernalia can linger in a car after drugs are used or sold, and the dogs’ noses are so sensitive they can pick up residue from drugs that can no longer be found in a car. This might be correct in a narrow sense. Dogs certainly are capable of detecting trace odors left behind by things that are no longer there. It’s a reasonable defense of the dog’s nasal prowess. But so what? This isn’t about the dog, it’s about whether the search is justified. The only reason the police are allowed to invade your privacy and seize your property is because they have a good reason to believe they will find evidence of a crime. If the police aren’t finding evidence as often as they expect to, it suggests their reason for the search is not as good as they say it is. The cause of their error isn’t as important as the fact that they are in error. I’m no lawyer, but I’m pretty sure a judge isn’t supposed to grant a search warrant because a location might once have had evidence of a crime. The police are supposed to have reason to believe that the evidence will be there when they search. If that’s a good rule for a judge, it ought to be a good rule for a dog. But it’s clear that in at least 56% of the cases when a dog alerts, the evidence isn’t there. As if that wasn’t bad enough, the Tribune story gives us good reason to believe that the 56% error rate is optimistic. The Tribune obtained and analyzed data from 2007 through 2009 collected by the state Department of Transportation to study racial profiling. But the data are incomplete. IDOT doesn’t offer guidance on what exactly constitutes a drug dog alert, said spokesman Guy Tridgell, and most departments reported only a handful of searches based on alerts. At least two huge agencies — the Chicago Police Department and Illinois State Police — reported none. The Tribune asked both agencies for their data, but state police could not provide a breakdown of how often their dog alerts led to seizures, and Chicago police did not provide any data. That leaves figures only for suburban departments. Among those whose data are included, just six departments averaged at least 10 alerts per year, with the top three being the McHenry County sheriff’s department, Naperville police and Romeoville police. In other words, the 56% error rate is for dogs working in departments that were willing to disclose their dogs’ performance statistics. We can only wonder how bad the numbers are in departments that don’t want to reveal how well their dogs were doing. And then there are the departments that apparently don’t even care enough to keep statistics. The most damning item in the Tribune article, however, is that the dogs’ success rate declines to 27% when the person being sniffed is Hispanic. This is a reminder that these statistics aren’t a measure of the dog’s performance, they’re a measure of the performance of the dog-and-handler system, and I don’t think it’s the dogs that are likely to be prejudiced against Hispanics. The most benign explanation for these numbers is that police dog handlers are more likely to expect Hispanics to have drugs, and that they somehow inadvertently cue the dog to alert. For example, if they lead a non-alerting dog around the cars of Hispanic drivers for a longer period of time than other drivers, the dog may learn that he can get his master to stop by doing a drug alert. This sort of unintentional cueing is sometimes called the Clever Hans effect, after a horse that appeared to be able to accomplish all sorts of amazing mental feats, signalling his answers by stomping his foot. Eventually, scientists figured out that his owner would tense up when the horse was supposed to start answering a question and then relax as soon as he reached the right number of stomps. There is evidence that some drug dogs are doing the same thing. Other explanations for the high error rate with Hispanics are that the police dog handlers are more likely to misinterpret a dog’s behavior as an alert, are intentionally cueing the dog to alert, or are simply lying about the alert because they want to do a search. Experts said police agencies are inconsistent about the level of training they require and few states mandate training or certification. Jim Watson, secretary of the North American Police Work Dog Association, said a tiny minority of states require certification, though neither he nor other experts could say exactly how many. A federally sponsored advisory commission has recommended a set of best practices, though they are not backed by any legal mandate. Compare this to the situation with the breath testing devices used by police to detect intoxicated drivers. Those things are calibrated and tested regularly. If you get busted for blowing 0.09 and your lawyer can show that the testing device hasn’t been calibrated and tested according to the proper schedule, there’s a pretty good chance you’ll go free. But if a dog at the side of the road alerts at your car, the cops are going to search you, and whatever they find will be usable, because the judges always believe the dogs. Update: Radley Balko is taking on this same topic today.